ABOUT US :- UNIVERSE KIDS The child is the most precious for every parent in this world, PLAY SCHOOL is a place where the child tries and learns to leave the home, parents and begins his new world. With a unique, one of its kind concept, UNIVERSE KIDS is a place where children groom while they play, listen and learn. Here they move from dependence to independence, from shaky coordination to refined skills, from body language to verbal communication, from self-absorption to social awareness. Others call it Fun-school; we call it UNIVERSE KIDS the chain of preschools that believes in enlightening the children by entertaining them. UNIVERSE KIDS looks nothing like a pre-school, but rather like a KID’s heaven. UNIVERSE KIDS offers you a unique opportunity to be a part of these delightful years and witness the transformation of restless kids into young and confident children ready to make a mark for themselves. UNIVERSE KIDS caters to the age group of 2 to 5 year old kids and offers the best of Montessori Play way and ECE methods of education. At UNIVERSE KIDS, we believe in bringing up children who are all-rounders, who can use their 5 senses effectively by enjoying, exploring and gaining new knowledge. UNIVERSE KIDS ensures all round development of the child and expose him to many aspects of life. We wish to offer the children in India, the same world-class quality and international standards of education that are enjoyed by millions of families across the world. Children should have the best of both worlds. Eastern culture with Western competitive standards will hold hands here. We aim to preserve and enhance the highest standards of culture and intelligence to prepare a winning generation for the 21st century. Our children will grow up to be accommodative, caring, sharing and bright individual. They will be emotionally balanced, confident & strong. To impart integral education, to all, irrespective of caste, creed and colour; in an atmosphere of purity, efficiency, discipline and fraternity with special emphasis on moral and spiritual values and character building rooted in Indian culture. (A)We aim to have our presence in all the district headquarters’ across India. (C) International standard education at affordable fee. (D) Well researched curriculum and study material. We are looking for partners who love kids and have a passion to do this business with a long-term vision. In order to start Universe Kids, the first and basic requirement is that the partner should love kids and have a passion to do this business with a long term vision. Along with that you should own an area between 2500 sqft – 3000 sq. ft.
(A)By being a Universe KIDS Franchise owner, you will receive our continued support and guidance in every possible manner. (B)We have created a Franchise Support System that will assist you with every conceivable issue that may arise in setting-up or running a Universe KIDS centre. (C)Our support mechanism is under a constant process of up gradation based on the feedback received from the existing Franchisees. (D)Extensive training to acclimatize the franchisee to the Universe KIDS culture. (H)Parent and community feedbacks etc. (A)Guidelines for inauguration and launching of school. (B)Timely visits by the support staff. (D)Event-support for occasions such as Annual Day, Sports Day etc. (E)Organizing seminars, business fairs and presentations. • Local advertisement-layout, planning, conceptualization and implementation. 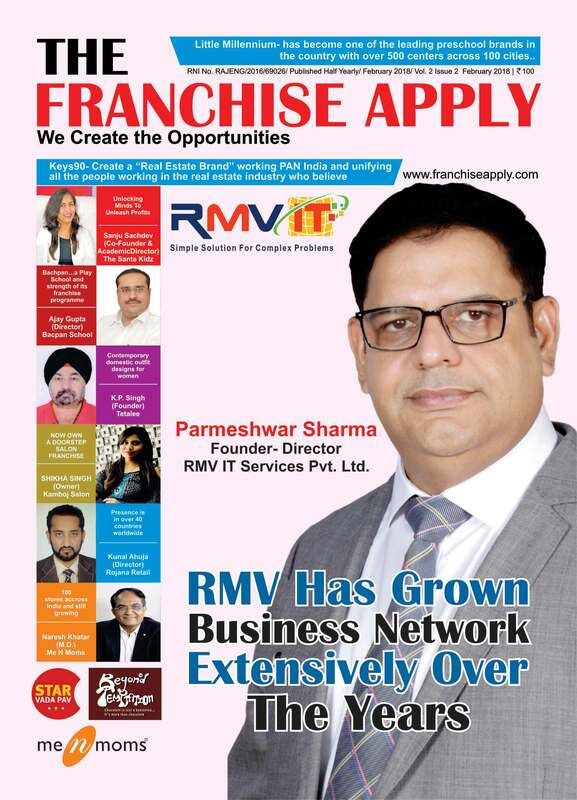 • Nation-wide advertisements through newspapers, magazines & the electronic media. • Improving day-to-day working with automation and IT tools. • Learning’s from over 10 years of experience in the field. • Centralized system of designing curriculum, procurement of books, study material, prospectuses and advertisements. • Technical assistance in establishing their infrastructure. • Fast launch of the project with the help of our team of designers, suppliers and workers. • Savings from centralized procurement of study materials and advertisements by the mother company. • Expert guidance and support from corporate headquarters through it’s team excellent educatorsbearing experience of over 30 years in school industry. • Continuous guidance to solve the day to day problems and ideas for up gradation of infrastructure. • Concept planning, designing and supervising of layout of interiors. • Local marketing support planning. • Training of personnel through an orientation programme for adaption to the Universe KIDS. • Support for indoor/outdoor events including media coverage. • Setting up proper accounting and feedback systems. Exclusive Detailed Business Plan to ensure achievement of Target. Maximum Business Profits accrue to Business Partner. 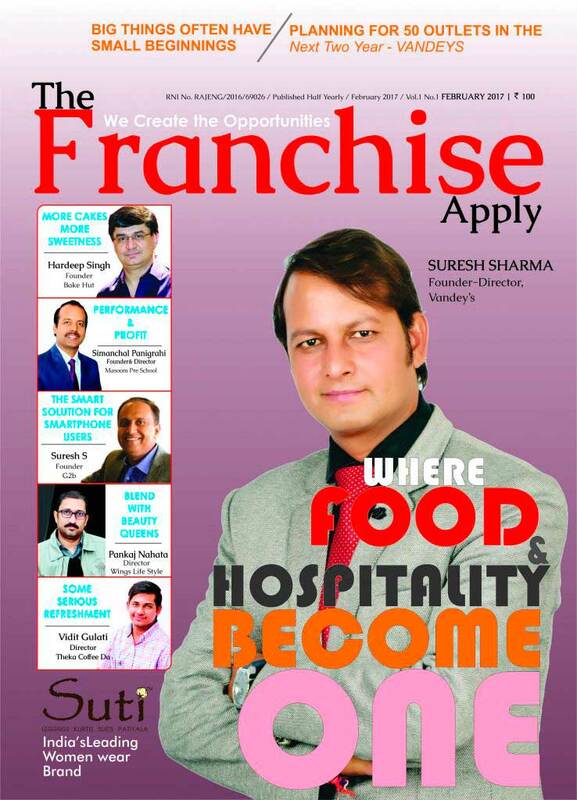 Brand is Offering Franchisees Opportunities Across India.